But then again—so are you. In fact, one study found that 60% of its participants lied three times in a ten-minute conversation—a practice learned young, as another study showed that over 60% of 3-year-olds lied about disobeying an experimenter. But how can that be? Aren’t we good people? Or more specifically, aren’t you a good person? You never lie, right? Because society has learned that it functions better when we tell the truth, most of us have grown up learning that it’s bad to lie. 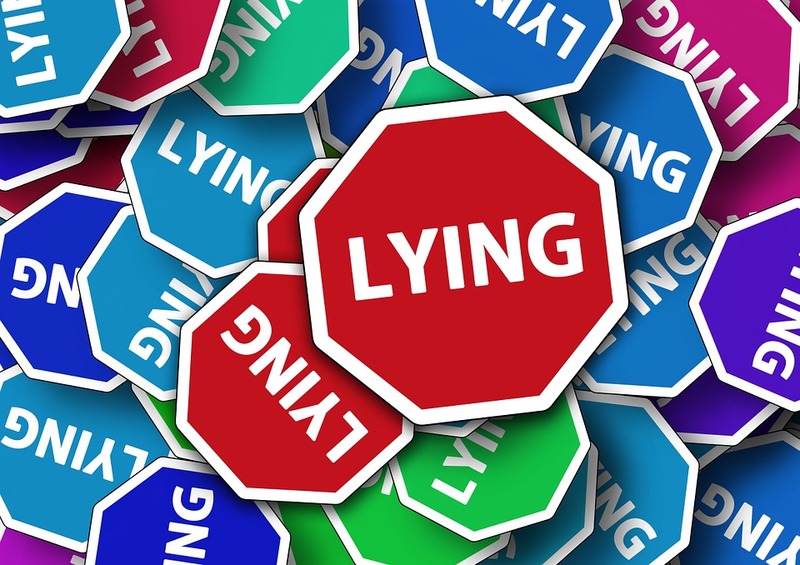 So when we do in fact lie, we feel bad about doing it to prevent us from doing it again. But research shows that we feel less bad the more we do it. 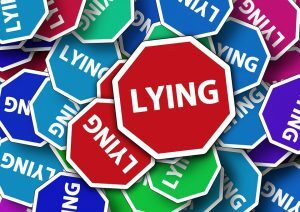 That is, when researchers watched participants tell lies while in an fMRI machine (i.e., a brain scanner), the amygdala—the brain region associated with emotional reactions—showed reduced activation the more people lied. In other words, we become desensitized to the aversive or unpleasant emotions we’ve been taught to feel when we lie, making it easier to lie the next time. Beyond this reduced emotionality, though, we have plenty of other ways to justify our deceit. One team of researchers had about 150 college students and community members keep a “lie diary” for seven days, and from this, the researchers coded and analyzed all the entries. 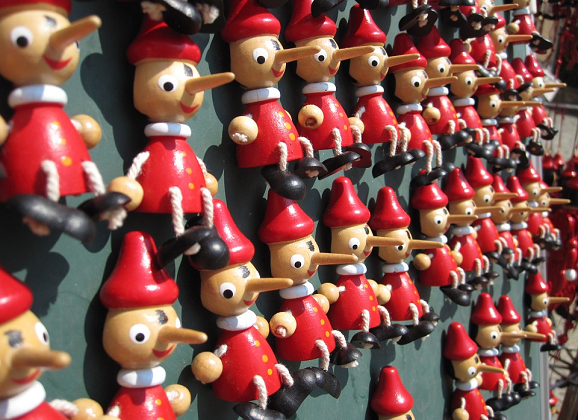 One way people justify their lies is by claiming they do it significantly less than the average person. And for more than 70% of the lies told, participants said they would retell the lie if they had to redo the situation. Analyzing the content of the lies, they could primarily be grouped into one of four categories: lies about feelings (e.g., “I told her the muffins were the best ever”), achievements/knowledge (e.g., “I aced my history test”), actions/plans/whereabouts (e.g., “I said I’d go out with him later this week but I won’t”), or explanations/reasons (“e.g., I told him I didn’t take out the garbage because I didn’t know where to take it”). And yet, even though people seem to have no problem telling all these kinds of lies and others, participants still rate their conversations that involve lying to be less intimate and less pleasant (though, maybe that’s why they were lying in the first place). Thus, lying, sadly, has simply become a fact of life. Indeed, in that study, the average, everyday participants (just like you and me) lied to 30 – 40% of all the people they had a one on one interaction with. Fortunately, when you come to this site, you know you’re getting nothing but the truth. Or at least something pretty darn close to it. 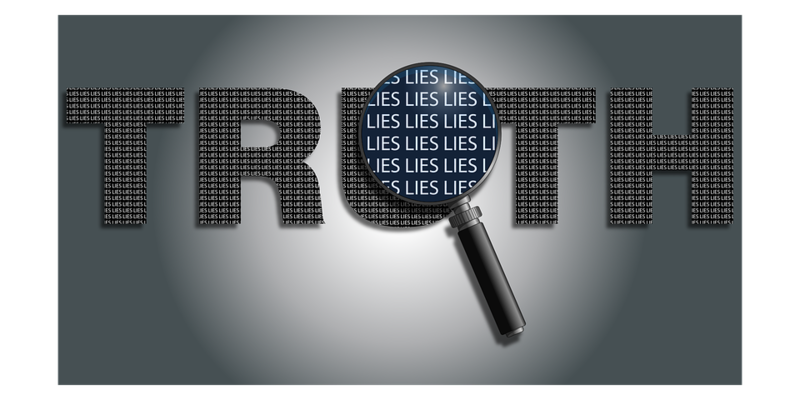 Psychophilosophy to Ponder: How often do you lie on a daily basis? It could be as simple as how many hours you spent working or what you thought about that movie your friends made (“No, it was greaaa…t”). Try keeping your own lie journal to see how dishonest you are on a daily basis. The more lies you can stop telling, the more intimate and pleasant interactions you’ll have. DePaulo, B. M., Kashy, D. A., Kirkendol, S. E., Wyer, M. M., & Epstein, J. A. (1996). Lying in everyday life. Journal of personality and social psychology, 70(5), 979. Lewis, M., Stanger, C., & Sullivan, M. W. (1989). Deception in 3-year-olds. Developmental psychology, 25(3), 439.